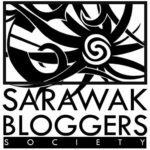 After trying Fundaztic and Funding Societies Malaysia, I've decided to try out the rest of the P2P operators in Malaysia. Next in line is B2B Finpal. Read on for my review of this company. This is the part where I have major issues with the platform. The first impression I had upon logging into the website was how bare-bones it was. After your registration is approved, you will have to deposit at least RM1000 to activate your 'virtual account'. Do note that your money is actually deposited into a trust account which is in line with Bank Negara's best practices. Trying to deposit fresh funds was a bit confusing, as there is no integration with any major online payment processors such as FPX. There wasn't any information to begin with, which I found quite frustrating. You will have to find the information in the email and do an online transfer manually. Subsequently just fill in the information by clicking the 'Deposit' button in your dashboard and wait for your funds to be confirmed. That being said, confirmation of deposit was fairly quick during normal business days. I got my RM1000 deposit confirmed within 2 hours. They have auto-invest options so that is a good point. You can even set your own 'risk grade' to tune your exposure to investment notes based on their risk grading, so this is something new. Unlike Fundaztic or Funding Societies, I feel B2B Finpal's funding opportunites to be quite limited. I have yet to invest into any of the notes so far, so stay tuned for updates on the performance. 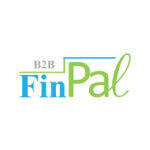 It's too early to tell how B2B Finpal will fare in the future. As with all things, there are certain risks involved when investing into P2P funding. I will definitely update this post in the future to gauge the company's performance. Stay tuned! Do like my FB page to get updates. Blogger and doctorpreneur. I write about stuff.